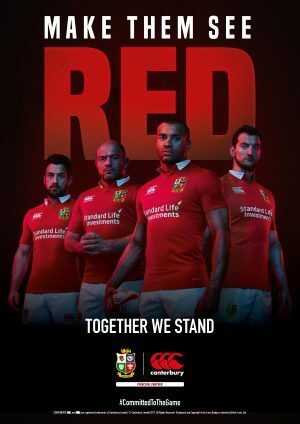 LOVE has created a Make Them See Red campaign for Canterbury to mark the start of the British and Irish Lions tour to New Zealand. Canterbury has been producing the iconic red jersey for the Lions since 1959. Make Them See Red is intended to inspire the players and fans from the four home nations to forget their traditional rivalries and unite in support of the Lions. Fans have also been encouraged to engage with the campaign and invited to share photos of their own red jerseys using the hashtag #MakeThemSeeRed for a chance to win a last minute trip to New Zealand. The Lions play their first match of the tour against the New Zealand Provincial Union on Saturday.